"Using the Transformation Oracle is a process of growing and transforming similar to metamorphosis (butterfly) and each card holds an intuitive meaning for the seeker to discover the challenges, opportunities, changes with spiritual insight and joy." Please call 303.565.6530 or click here to email Sandy for an appointment. Read Sandy’s article LIBERATION from Controllers. Explore one of Sandy’s sample readings about a teen leaving home. 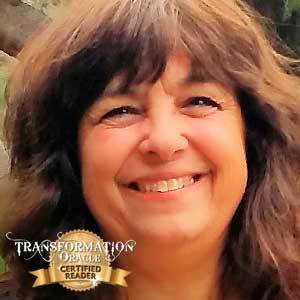 Get inspired by Sandy’s Transformation Story! "Thank you Sonya Shannon for a fantastic workshop, I loved every minute of it. I am looking forward to applying what I have learned to bring awareness and love to people who are seeking answers. Your Transformation Oracle cards are an answer to prayer to heal and seek wisdom for those looking for the truth. Thank you to each class member, your energy and love came as a blessing and I am grateful for the experience and opportunity to meet you."